Today we at Giganews are celebrating our victory in the United States Court of Appeals for the Ninth Circuit in a landmark copyright law decision against Perfect 10, Inc.
"This has been a long and hard-fought battle," said Ron Yokubaitis, Co-CEO of Giganews. "We decided that it would be important to stand up to Perfect 10 and not be bullied by its abusive litigation tactics. We were not going to settle this case just to avoid the risk of potentially catastrophic statutory damages in today's crazy copyright world, a threat that unscrupulous plaintiffs like Perfect 10 use to extract unjust settlements from more timid companies. We took a stand for Usenet, for technology and online platforms, for the public, and for ultimate benefit of rational copyright law. We were not just battling Perfect 10:  standing behind Perfect 10 – and even sharing in its oral argument at the court of appeals – was the Recording Industry Association of America(RIAA), which tried to argue that it was voicing the interests of small copyright holders." In the case, the notorious repeat copyright plaintiff Perfect 10, Inc. – which before suing Giganews had sued Google, Amazon.com, Microsoft, Tumblr, and many other Internet services – sued Giganews for billions of dollars over alleged copyright infringements on its Usenet service. At its core, the case was a fundamental challenge to the Usenet industry. Giganews has a long standing history of working with copyright holders, large and small, to remove claimed infringing messages from its Usenet servers. Giganews processes millions of notifications of claimed infringement each year by relying upon copyright holders to provide machine readable message-IDs. Message-IDs are the only reliable means for Giganews to accurately identify the material to be removed from its service. Perfect 10 refused to send Giganews Message-IDs for Usenet messages. Instead, Perfect 10 sent demands that Giganews search for messages by using various search terms that Perfect 10 specified, seeking to impose heavy processing burdens upon Giganews and to introduce risks of errors in the process. Giganews insisted on receiving proper notifications from Perfect 10 with machine readable message-IDs. Rather than working with Giganews to take effective action to reduce the incidence of infringements of Perfect 10's copyrights, Perfect 10 chose to sue for billions of dollars of windfall "statutory" damages under copyright law. In earlier stages of the litigation, three separate federal judges in the trial court in Los Angeles made key rulings for Giganews, culminating in a complete victory for Giganews in late 2014. The trial court also awarded Giganews over $5.6 million in attorney's fees and costs against Perfect 10 in 2015. The court reaffirmed a requirement of proximate causation in claims of direct copyright infringement and ruled that the mere operation of a service and systems like those of Giganews was not a proximate cause of copyright infringements. The court affirmed the trial court's finding that there was no evidence that Giganews personnel had uploaded allegedly infringing material to Usenet. The court reaffirmed the principle that provision of services like those of Giganews do not constitute a "material contribution" to infringement, an element of contributory infringement. The court ruled that Giganews did not fail to take any simple measures available to curb infringement, an element of contributory infringement. The court ruled that Giganews did not do anything to induce copyright infringement, an element of contributory infringement. The court ruled that a plaintiff must show that a defendant has obtained a direct financial benefit from infringement of the plaintiff's copyrights, not from other infringements, in claims for vicarious liability, and that Perfect 10 had not shown any direct financial benefit to Giganews from infringement of Perfect 10's copyrights. The court ruled that an award of attorney's fees to Giganews was appropriate in recognition that a successful defense of a copyright claim can advance the purposes and policies of the Copyright Act. Other than setting basic parameters, Giganews does not select any of the content available on its servers. Indeed, Giganews itself did not post any of the articles at issue in this action to any Usenet server, and all such articles were posted by Usenet users. Nor does Giganews tell any third parties what to upload to Usenet, including Giganews'[s] Usenet servers. When Perfect 10 sent Giganews machine-readable Message-IDs, Giganews quickly removed those messages from its servers. When Perfect 10 faxed Giganews notices containing illegible Message-IDs, Giganews responded with a letter asking Perfect 10 to provide the Message-IDs in a legible, machine readable format. Perfect 10 repeatedly declined to do so. An analysis of Perfect 10's evidence showed only that users uploaded infringing content onto Giganews servers, not that Giganews played any sort of active role in causing any distribution. The evidence Perfect 10 cited did not demonstrate copying by Giganews. Operating a system used to make copies at the user's command does not mean that the system operator, rather than the user, caused copies to made. Perfect 10 provided no evidence showing Giganews exercised control (other than by general operation of a Usenet service); selected any material for upload, download, transmission, or storage; or instigated any copying, storage, or distribution. The court concluded the district court did not abuse its discretion in finding that Perfect 10 had an improper motivation, that the "objective unreasonableness" factor weighed slightly in Giganews' favor, that considerations of compensation and deterrence weighed in favor of a fee award, and that it would not be inequitable to award attorney's fees to Giganews. Because the rulings of both the trial court and the court of appeals decisively rejected the core elements of Perfect 10's copyright infringement claims, the courts had no need to reach the question whether Giganews also qualified for the safe harbor that online services enjoy under the Digital Millennium Copyright Act. The safe harbor protects those who are otherwise liable for infringement by limiting the remedies that would flow from a finding of infringement. The courts found no evidence of infringement by Giganews in the first place. Giganews is grateful to those who have supported it in its long and expensive fight. They include Internet Infrastructure Coalition (I2C), Internet Association, Computer & Communications Industry Association, Electronic Frontier Foundation, Public Knowledge, the American Library Association, the Association of College and Research Libraries, and the Association of Research Libraries, who supported it with amicus briefs. With this decision, Perfect 10's days as a copyright troll masquerading as an adult content provider are now finished. The case now moves to its final stage to collect attorney's fees from Perfect 10. 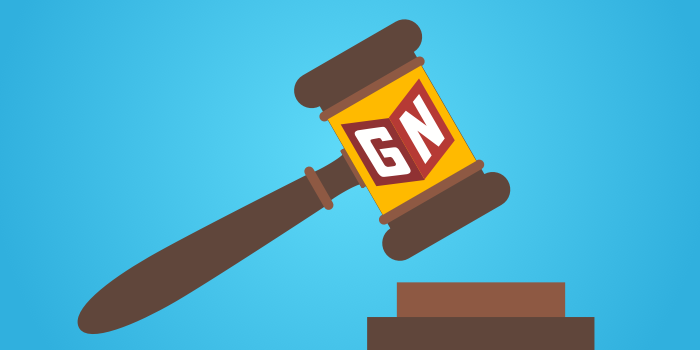 Giganews is seeking the appointment of a receiver to take charge of all of Perfect 10's copyrights, trademarks, and domain names and to liquidate them in partial satisfaction of Giganews' judgment against Perfect 10.